To enroll in a German University can any foreigner, including Russian or a citizen of one of CIS countries. To do this you must speak German and to have a document about the end of 2nd year higher education institutions in the country. If these conditions are met, you have all chances to become the student of one of universities of Germany. - 9 color photos (4 X 5cm). If you decide to get higher education in Germany, you need a good knowledge of the German language. The level of language proficiency should not be lower than C1. However, if you do not reach the required level, do not worry. You will be able to improve your knowledge at the preparatory courses at the University or in any public or private language school Germany. Upon completion of the course, you will be given a certificate. If you don't want to wait for 2 courses, you have the opportunity to move to Germany after 1 year of study and continue education there. In this case, you will need to take a preparatory course for foreign applicants - the Studienkolleg (College Student). You will be directed to the course that you passed in your own country. To change the field is impossible. If you studied Economics, you will not be able to start to study medicine, etc. the Duration of the Student Board is one year (two semesters). Upon completion of the course you will have to pass the final exams (Feststellungspruefung) in subjects that took place in the learning process. If you pass the exams successfully, receive a certificate Reifezeugnis, which will give the right to study at any University in Germany. If you go to a German University after 2 courses, the first thing you will have to pass the language exam DSH (Deutsche Sprachpruefung fuer Hochschulzugang der auslaendischen Studienbewerber). This is the entrance exam for the German language that defines whether you are able to understand lectures in German language or you must improve your knowledge. The exam consists of several parts – written, oral and listening comprehension and lasts for several hours. If you have given the exam successfully, you can study at a German University. If you already have a diploma of graduation in your own country, you can apply for recognition of your diploma at the Bachelor level (Bachelor's degree) and continue the training from the Master (graduate). To apply you can in two ways: by sending them independently to each institution or through a special organization of uni-assist. This organization was created to expedite the processing of documents of foreign applicants and for the unloading of German universities with applications. Uni-assist is based in Berlin and cooperates with many higher educational institutions. If your chosen University is working with this organization, to apply you will have only through it. After uni-assist will receive your documents, you will receive a personal applicant number (Bewerbernummer), which will be registered all your data. On this number you can learn about the processing status of your application. Uni-assist will forward your data to the University and that, in turn, will make the decision about accepting you for training. Through the organization you have the right to apply to an unlimited number of educational institutions. You will need to send one copy of the documents and a separate application for each University. Keep in mind that all documents must be translated into German language and notarized. Processing of documents for submission to one College costs 55 euros. For each subsequent statement will be charged 15 euros. That is, if you were sent to uni-assist 3 applications for 3 universities, you will need to pay 100 euros. Receiving an invitation from an educational institution, you must apply for a visa. For this, the basic documents you need to attach a letter of acceptance to institution of higher education in Germany and to provide evidence of the availability of necessary funding. To submit documents it is necessary until January 15 to enroll for the summer semester) and 15 July (for winter semester). The education in Germany lasts from 3 to 8 years. The lyric hero of the famous song lamented the fact that he, the Martyr of science, will study in the French side, on an alien planet. Modern students are not as fussy and are willing to go to study abroad. 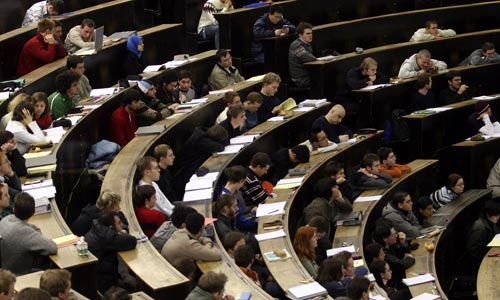 Many are attracted to the German Universities: education is free, even for foreigners, and the academic freedom of teaching gives the opportunity to earn. In addition, the universities and institutes of Germany, of which more than 300 are known for their classical traditions of teaching. So, set a goal certainly to go to a German UNIVERSITY, first of all, select a course of study or specialty that you will comprehend after purchase. Note that in Germany you can study, in the truest sense of the word. However, remember that some of the specialty foreigners accept with great reluctance, because these faculties are usually popular and among the Germans themselves. This faculties studying medicine, pharmacy, dentistry, law, architecture, psychology, and biology. 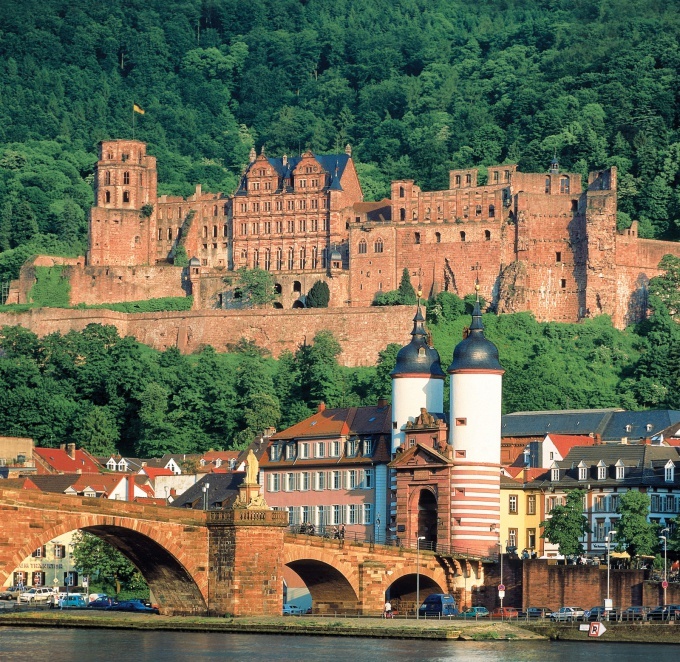 Enrollment in a German UNIVERSITY may only test knowledge of the German language. Certificates DaF, DSH, KDS, GDS can be obtained directly at the chosen University in Russia, for example, in the Institute.Goethe in Moscow. The tests should be prepared in advance, treat them with the utmost seriousness. Fortunately, most Universities in Germany are free or low cost courses where you can brush up and practice my speech. Select University or Institute. It is advisable to apply to several schools, 5 or even 10. Pre-specify a deadline, but usually training starts twice a year – fall and spring, and to submit documents necessary for 3-6 months prior to the study. Be sure to find out in what form you need to apply: should the translation be certified by a notary or at the German Embassy in Russia. It is not necessary to send documents by regular mail, Express delivery will be more reliable, though more expensive. So, submitting papers and having received a welcome invitation from the University, you can begin obtaining a visa. Immediately make an appointment to Embassy for submission of documents. Remember, the visa is issued within a month, sometimes longer. Consular fee is not less than 30 euros. You need the following documents: an invitation from the University, three visa application forms, three photos 3,5x4,5cm, medical insurance, proof of financial means of the applicant (statement of account confirming the presence of at least 7020 euros). The minimum wage in Germany is € 585 per month. It remains the case for small – to get to Germany. The University need to arrive on the date specified in the invitation day. Tardiness will not be accepted for any reason. Keep in mind that the use of housing educational institutions can only be after registration, so consider where you will stay during the first days. You need to have all the necessary documents, originals and certified translations, and medical insurance. After registration the school will issue an insurance policy and sign up in the office for foreign nationals. A student visa entitles you to work, but not more than 180 days a year. Full day you can only work on official holidays (three months in the year. Earnings range from 5 to 13 euros per hour.